1. 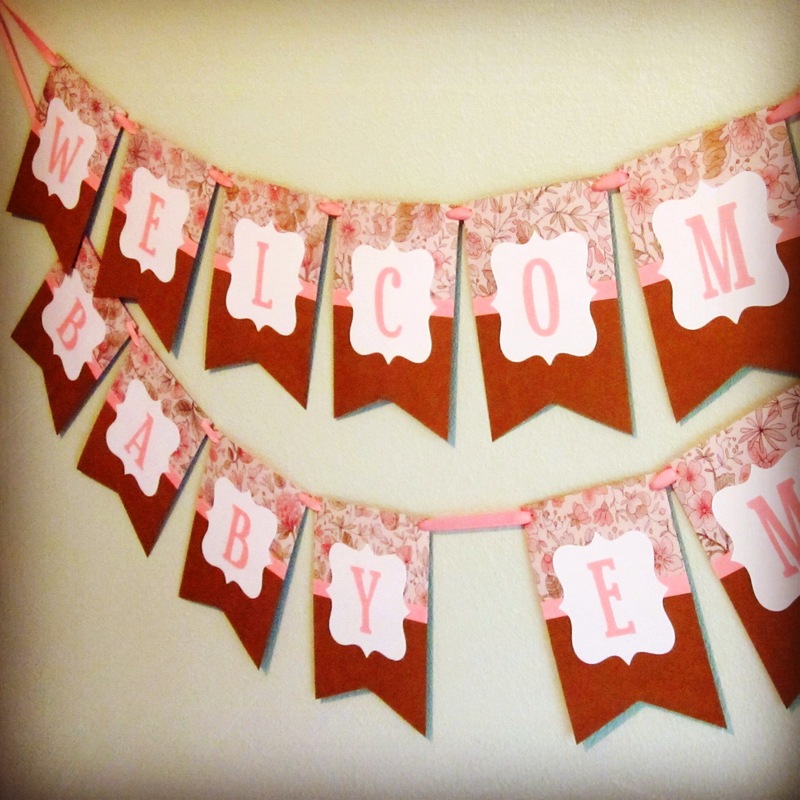 Welcome Sign – For the main banner, I was inspired by this printable banner from Dulce Grace Printables. 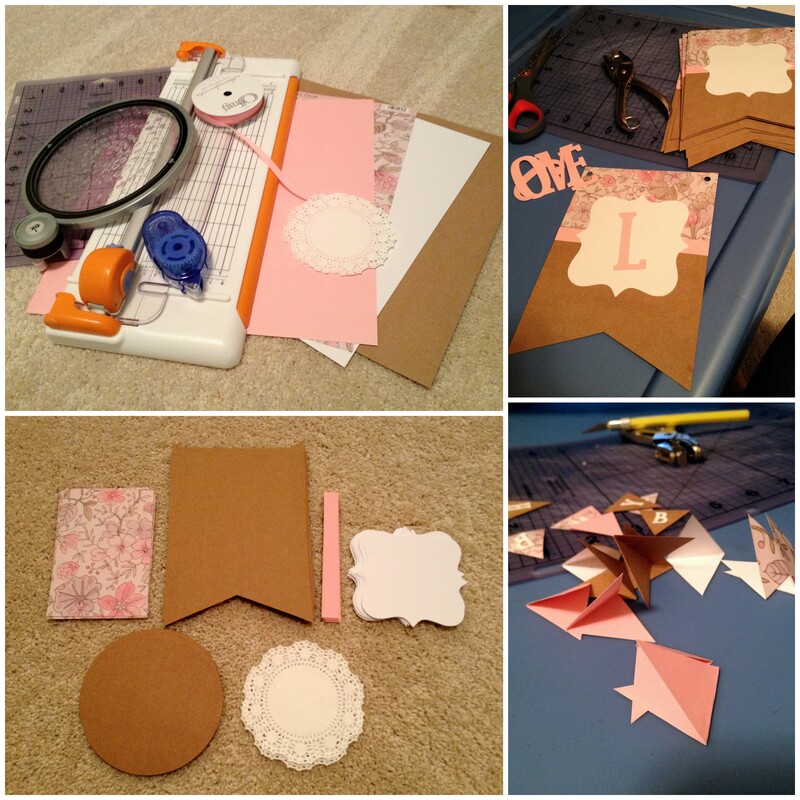 The cardboard cardstock was cut to 5×7 with an inch tall triangle cut-out, the floral paper to 3.25×5 and the pink strip to 0.5×5. I used my Cricut to cut out the 3.8×3.8 white frame and 3.25 inch pink letters. 2. Table sign – For the “It’s a Girl” banner, I cut out 4 3/8 inch circles, used 4 inch doilies, and 2.75 inch pink letters. 3. 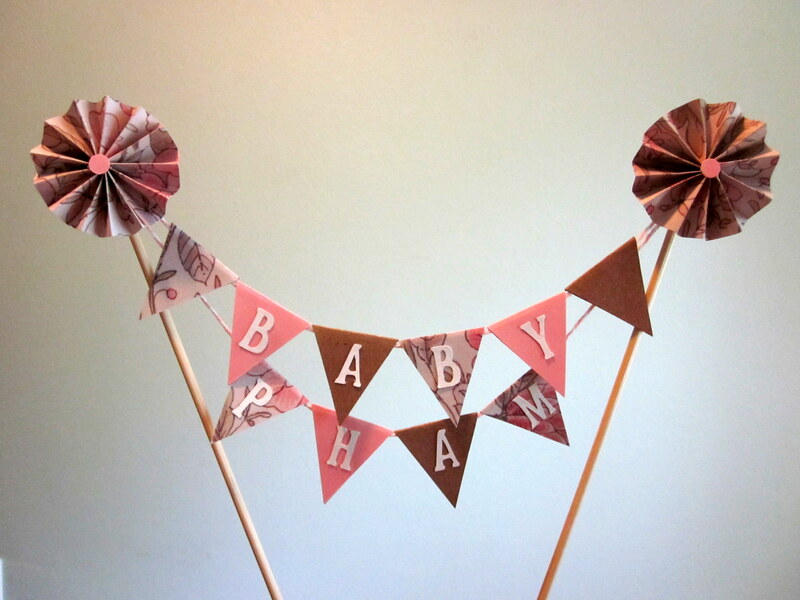 Cake bunting – I learned the hard way that for cake bunting, you cut out DIAMONDS, not triangles. 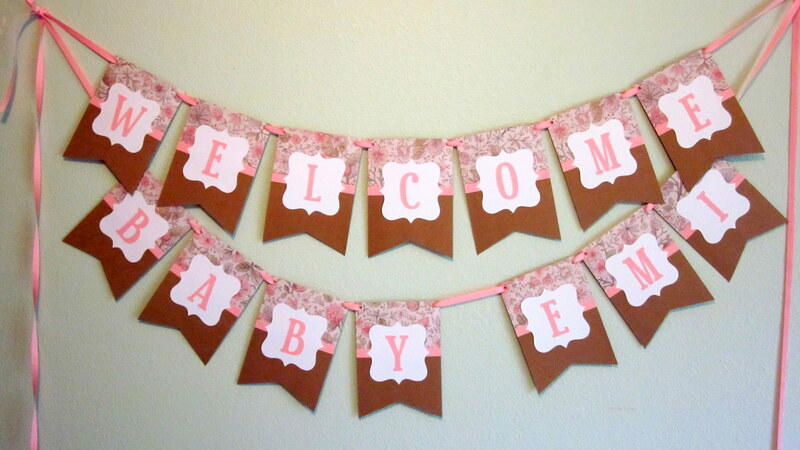 I used the same paper from the welcome sign with some pink baker’s twine and skewers. My Cricut had some trouble cutting out the tiny letters, but I made it work. I added some pinwheels to the skewers to match the pinwheel backdrop that another friend made. For all banners, I prefer using adhesive roller tape instead of glue to make things neater. I think they turned out quite nicely and matched her other crafty friends’ creations. I sure missed out on a wonderful party based on these great pics from attendees (limer35 aka The Pinoy Panda and Kitchen Runway). 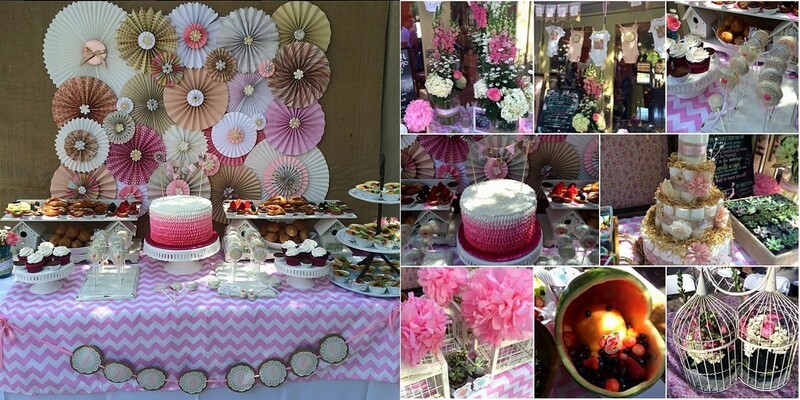 This entry was posted in Babies/Kids, Crafts, Decorations and tagged baby shower, Banner, cake bunting, shabby chic. Bookmark the permalink. These were beautiful!!! Went perfectly with the theme! The cake bunting even had pink and white bakers string! Amazing work again by Linda from semi DIY! Love you and huge thank you!!! !